Give Your Nails Some TLC! Whether your nails need some TLC or you just need a little help achieving your nail goals, We’ve developed a range of treatments to help you get there. Discover all our treatments below! Our Hyper Hydrator is a super hydrating cuticle moisturiser with a cherry scent and is perfect for dry, cracking or torn cuticles. Cute-Icles Friend helps you create the perfect manicure by enhancing the look of your cuticles with it’s gel formula cuticle softener. Cute-Icles friend has been designed for overgrown cuticles. R&R Protein Therapy has been developed to strengthening treatment. This exclusive protein enriched formulation with 20% actives counteracts the drying effects of frequent polish changes by hydrating and stabilising the nail, allowing for natural nail growth. The 8-in-1 Ultimate Base Coat is for all your favourite lacquer shades to meet the strict demands of the red carpet glamour with this antioxidant rich lacquer base coat. Celebrity Secret is the secret to a long wearing and resilient manicure, it’s all in the prep. 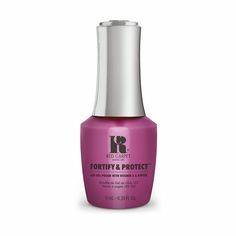 Use this manicure life extender to lock in your polish for longer wear. Over Polish Guard helps you achieve perfect professional polish application without years of practice using this liquid cuticle guard for clean colour application. 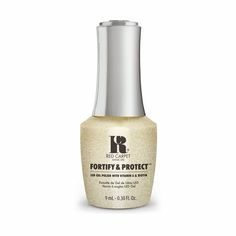 The Stronger & Longer Nail Remedy treatment is a revolutionary natural at home treatment that instantly seals, protects and reinforces nails. The LED light activated gel formula applies like a base coat to defend nails from excess moisture and external damage giving nails a resilient, stronger finish allowing for more of a complete natural nail growth, ready to support your next long-lasting Red Carpet Manicure chosen gel shade. The Severe Problem Nail Recovery professional salon strength nail treatment instantly fortifies against peeling and splitting nails. The LED light activated gel formula applies like a base coat to rejuvenate damaged nails with a super charged concentration of botanicals, berries and vitamins to allow for healthier natural nail growth.